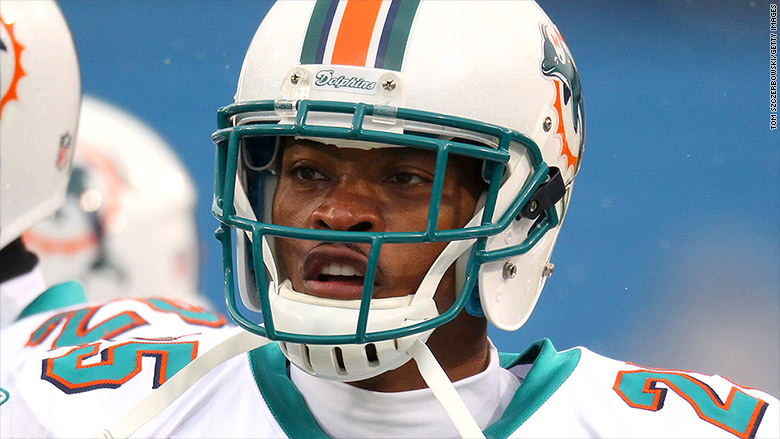 From 2001 to 2013, Will Allen played for the Miami Dolphins, the New York Giants and the New England Patriots. As an NFL cornerback, Will Allen played alongside many of the nation's top athletes. Now, he stands accused of using his sports connections as bait to raise money for an alleged Ponzi scheme. From 2001 to 2013, Allen played for the Miami Dolphins, the New York Giants and the New England Patriots. Allen raised millions by telling investors that they could earn interest rates of up to 18% by giving out short-term loans to players in the National Football League, Major League Baseball and the National Basketball Association, the Securities and Exchange Commission said Tuesday. Allen told investors that pro athletes needed short-term loans because their contracts did not allow them to access cash during the off-season or pre-season when they sometimes need to buy a house or car. He worked with a business partner, Susan Daub, to raise the money, according to the SEC. However, the SEC says that the defendants didn't lend all of the money to pro athletes, as promised. Allen and Daub's company Capital Financial raised a total of $31 million. They allegedly paid out about $20 million to investors from July 2012 to February 2015. However, the firm fell short of $7 million and Allen and Daub allegedly used money from some investors to repay others, "the classic hallmark of a Ponzi scheme," according to the complaint. In addition, Daub and Allen allegedly used company funds for personal expenses and unrelated business costs. Company credit cards were used at casinos, pawn shops, jewelers, grocery stores, cigar shops, and clothing retailers, according to the SEC. The SEC said a federal court in Boston has seized the assets of Capital Financial. The agency is seeking the return of ill-gotten gains, with interest.